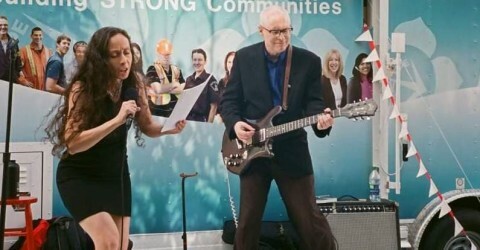 Photos of the performance adaptation of The Listener featuring Mecca Normal at Word on the Street in Vancouver. The weekly Magnet Magazine series continues. David Lester’s illustration paired with text by Jean Smith – includes a Mecca Normal download. order here — $4 Malachi b/w Blue Sky & Branches — part of the International Pop Underground singles series. Malachi is about free speech and anti-war activist Malachi Ritscher (1954-2006). 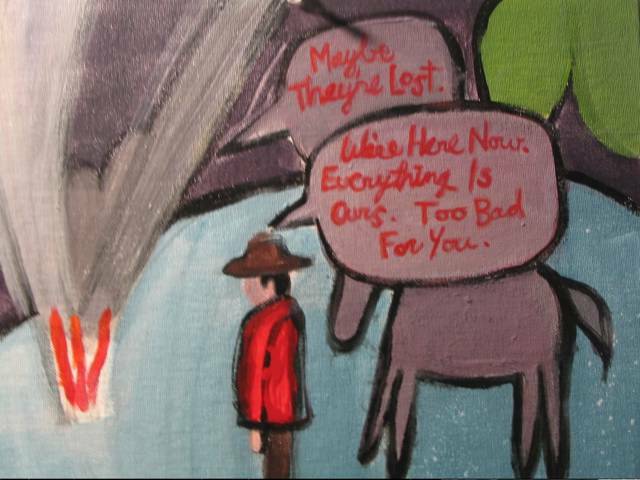 2010, April into May — The Black Dot Museum: Political Artists from Vancouver, a four-person exhibit inOlympia. Mecca Normal played the opening. 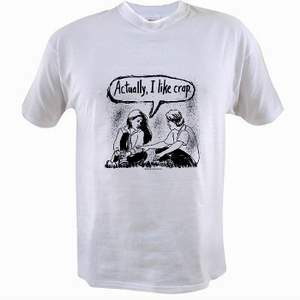 $1.00 songs on BandCamp.com Conform, The Arrogant Man (1984 – 86 unreleased) more to come! Smarten UP! 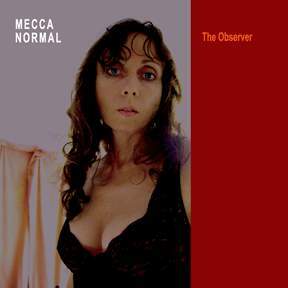 Records — the re-release of two early Mecca Normal albums, originally on K Records and then on one CD on Matador. 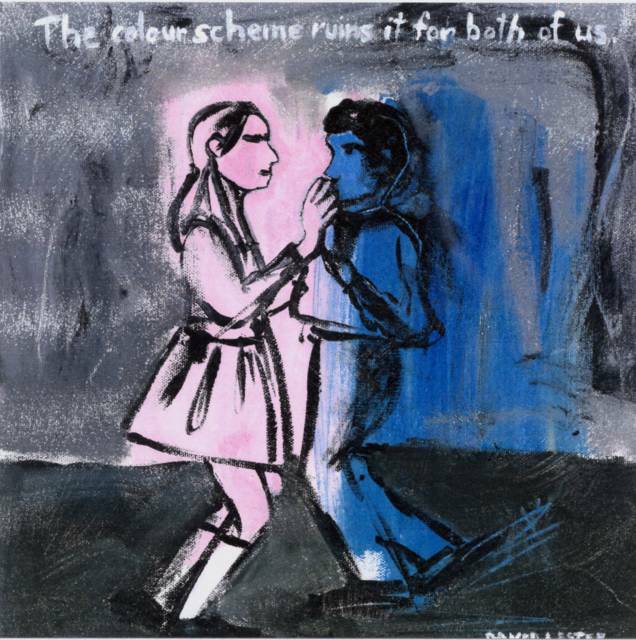 Individual songs for 99 cents or as the album, the way David and I intended for it to be heard. David’s The Gruesome Acts of Capitalism is required reading for a course called English: Academic Writing Strategies at Capilano University. 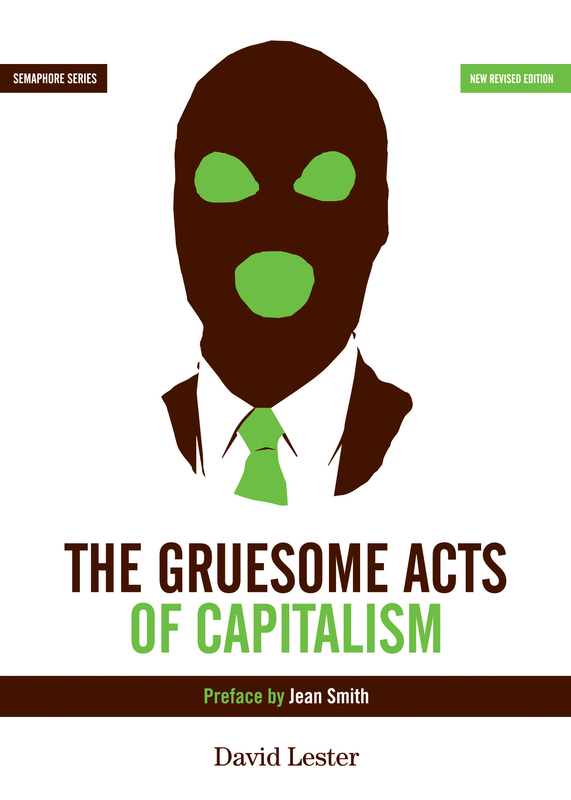 Another 150 copies of The Gruesome Acts of Capitalism sold – a donation was made to the Canadian Centre for the Victims of Torture (approx. $2,000 raised so far). 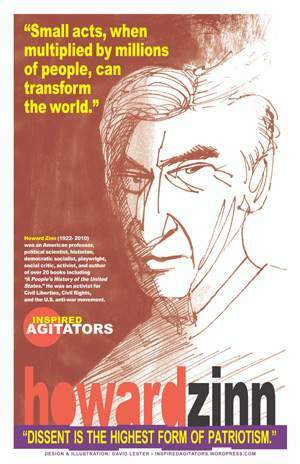 David’s poster of Howard Zinn was Poster of the Week at the Center For the Study of Political Graphics (Los Angeles). David’s poster series — Inspired Agitators —became part of the permanent collection of the Center for the Study of Political Graphics (Los Angeles). 2010, April — Mecca Normal played Sarah Utter‘s art opening at Land Gallery, Portland. 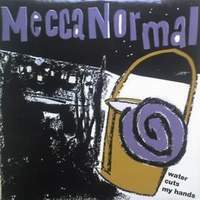 2010, May — Mecca Normal recorded three songs with Calvin Johnson at Dub Narcotic Studio. Jean played timpani and piano. 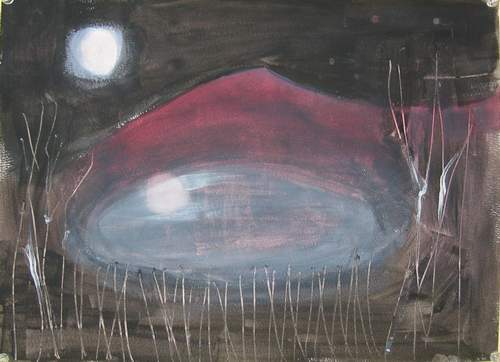 The songs are: Malachi, Blue & Sky Branches, and an improvised piece called After the Next. 2010, June — Jean’s film “Kent State” and David’s film “Hitler’s Sketch” were screened in Seattle at Hollow Earth Radio House and at the Capitol Theater in Olympia, as part of the Olympia Experimental Music Festival Film Program. Jean made a video for I’m Not Into Being the Woman You’re With While You’re Looking for the Woman You Want. 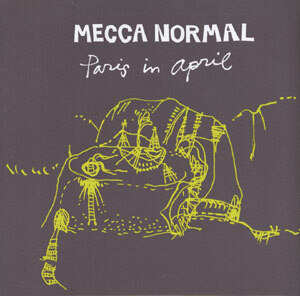 Mecca Normal has six 7″ records in the IPU series. ipu004, ipu011, ipu028, ipu032, ipu068, ipu132. Two scenes from Jean Smith’s foray into online dating. “We’re Here Now. Everything Is Ours. 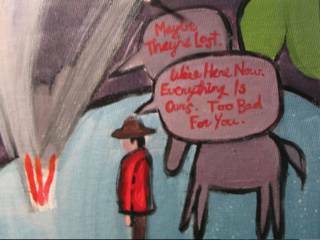 Too Bad For You.” Acrylic on canvas board by Jean Smith. 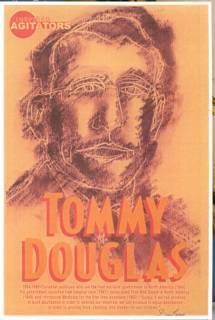 Donated to the Prison Justice Day Art Auction in support of Books To Prisoners. Now booking lectures for 2011.